When you’re the only one in your family who can’t eat “normal” gluten-free food, you get creative. I’m sure plenty of you understand and know what I mean. One of my favorite “I can’t eat what you’re eating” meals is chia pudding. It’s easy to make and soooo delicious. 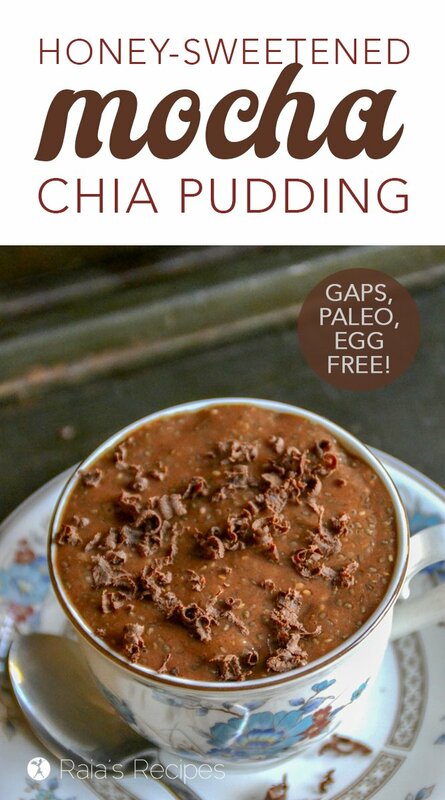 At least if you love pudding… and chia seeds. Both of which I happen to enjoy. In fact, chia pudding is such a delicious treat to me, that I make it as treat-like as possible, whenever possible. Like making it taste like eggnog, or a mocha. 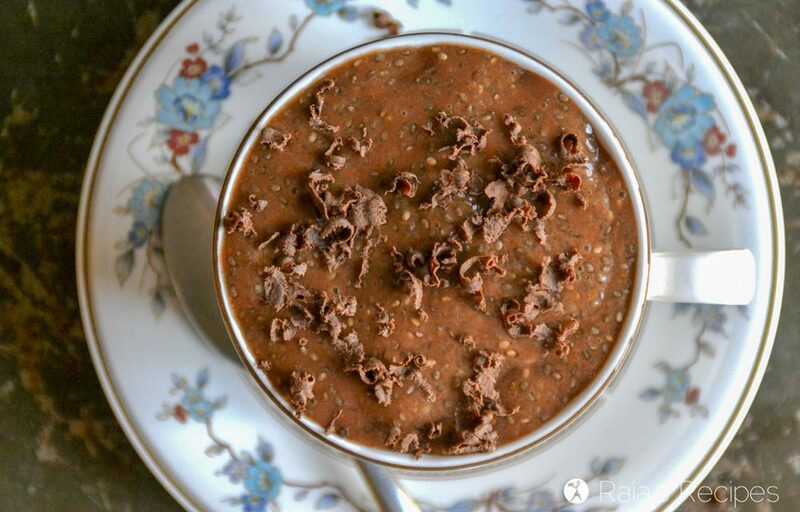 This paleo mocha chia pudding is like eating a dessert for breakfast! And if you would rather eat it as a dessert after a meal, that’s fine by me. But I prefer to eat my dessert in the morning so that I have all day to… uh… wear it off. Not that chia pudding needs to be worn off. 😉 The coffee in it might, though. 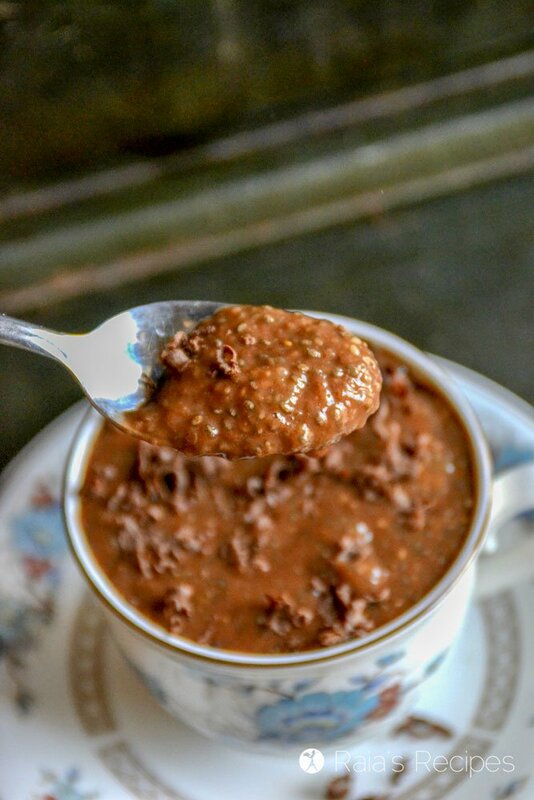 Yes, one thing that makes this mocha chia pudding a better breakfast that dessert later on is the coffee. I don’t know about you, but I cannot have coffee after around 3 or 4 or I’m gonna be up waaaayyyy too late for my own good. Or anybody else’s good. I haven’t been drinking coffee very long, just since being pregnant with #6, actually. It never seemed to help wake me up before now. But boy oh boy, it sure helps me when I’m pregnant! And thanks to the healing I’ve done on the GAPS Intro Diet, it no longer affects me negatively, like it used to. Yeah, I used to be allergic coffee. If you can’t handle it either, I’m sure this would taste great with an herbal coffee blend. Otherwise, enjoy the caffeinated kick in the morning! 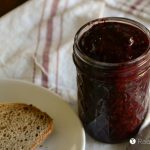 In a pint-sized jar, whisk together dry ingredients. Stir in liquid ingredients, cover, and stick in the fridge for about 8 hours. Mix well, sprinkle with shredded chocolate, if desired (why not?) and enjoy! This looks incredible! I’m seriously drooling right now! WOW! This looks and sounds so good. Gorgeous presentation in the cup! I bet this is a tasty treat! 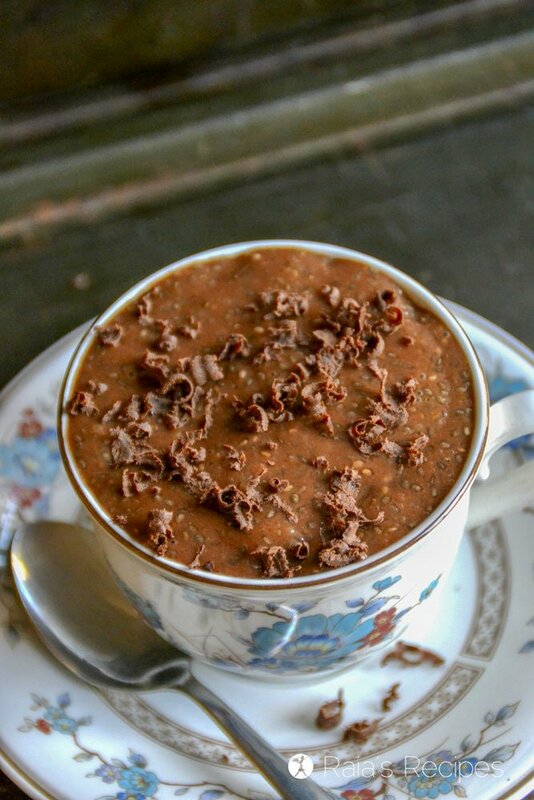 OH how I love using chia to make puddings! Thanks for sharing this one! Will put it near top of my list to make asap!! Thanks so much, Carol! I hope you enjoy it as much as I do! Note to self: never comment on Raia’s recipes before eating breakfast. Drooling…. This looks absolutely amazing.You had me at mocha! Ahhh yes – I definitely need this in my life this afternoon! thank you for the great idea! 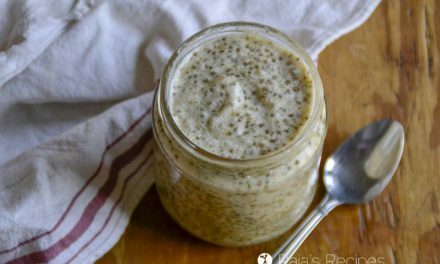 I really love chia puddings..was thinking of blending it first to see if I can get my kids to eat it too! I love the whole seed texture, and chocolate and coffee, YES! You’re such a kind mom. I don’t share chia pudding with children. Haha! 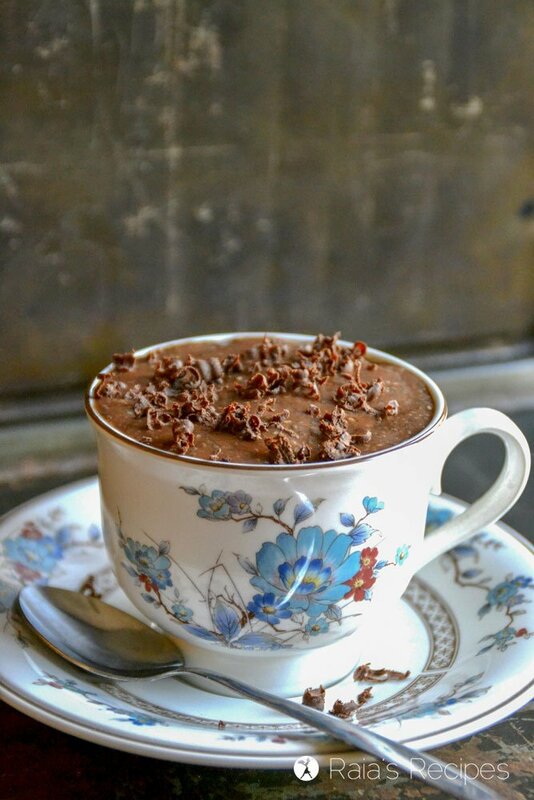 What a beautiful pudding with shredded chocolate on top! I am not a coffee drinker but I can imagine how nice the flavours are together. Oh, I am so in love with your blue tea cup! Oooo Mocha???? I’m sold! This looks so creamy and yummy! Oh, my! This looks good! I don’t drink coffee after 3 or 4 either, but I’m glad that I seem to be getting away with it, considering my gut issues. I’ll be trying this sometime soon! I hope you enjoy it, Cathy! I try not to have it too often, either. But it’s definitely a fun treat every now and again! I am all for having dessert for breakfast! This looks so creamy and luxurious, can’t wait to make it! 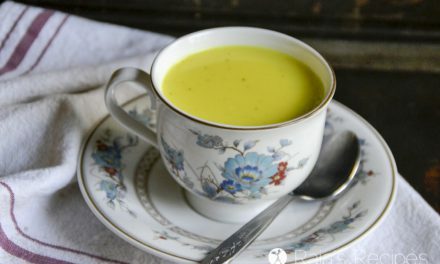 love this recipe.It’s so creamy refreshing delicious. Thanks for sharing as always ! Thank you! Glad to share! 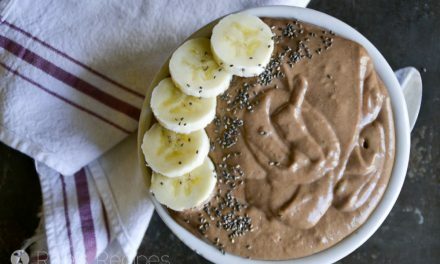 I am so excited to try this mocha chia pudding for breakfast!!! 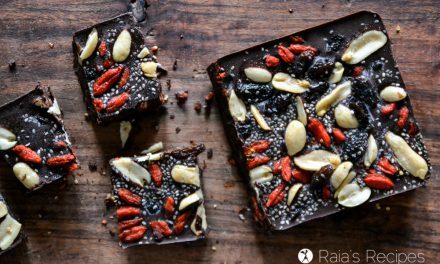 Thank you for creating a recipe that is chocolate, coffee, and refined sugar free. This looks yummm!! I love chia puddings and chocolate ones are my favorite. I haven’t yet tried mocha flavor, so will be trying this soon.